CLIENTS OWN ARRANGEMENTS & RESPONSIBILITIES: International Flights: Own Arrangements Travel Insurance: Own Arrangements OUR INCLUSIVE PRICE PROVIDES FOR THE FOLLOWING SERVICES: 2 rounds golf: Old Course & New Course 5 star luxury accommodation at Fairmont on a bed and breakfast basis Return Transfer by helicopter to The Open Entry to the open: Day 1 and Finals day Enjoy the 2018 Open at Carnoustie in style Includes all transfers ON COURSE PHOTOGRAPHY PACKAGE – THE ULTIMATE SOUVENIR The most popular addition to any Scottish golf tour is our on course photography package. See our PDF which carries some visuals giving you a better feel for what we offer. Our package really does provide a first class memorable keep sake from your golf tour. 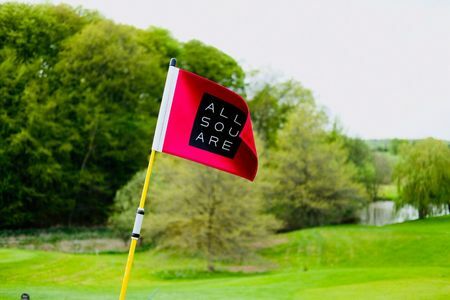 Please find below options and prices: - 1 Round: £240.00 per golfer - each golfer receives 1 8x9" handmade book, print package and all high res digital files - 2 Rounds: £390.00 per golfer - each golfer receives 1 8x9" handmade book, print package and all high res digital files - 3 Rounds: £490.00 per golfer - each golfer receives 1 8x9" handmade book, print package and all high res digital files ​ - Large 12x10" book – supplement of £180.00 per golfer For additional rounds a discounted offer can be applied upon request. The photography package must be pre-booked in advance due to high demand. 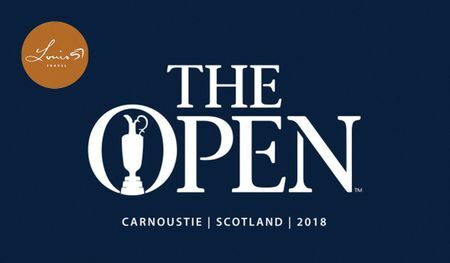 ADDITIONAL OPTIONS Open Championship Hospitality: Priced upon request Scotland Single Occupancy: $ 3 250 USD per person single supplement for 10 nights PAYMENT TERMS: 50% Non-refundable deposit at time of booking 50% 6 months prior to departure The above package price is priced in USD. If there are any changes to the number of persons or the itinerary, the package will have to be re-calculated and re-quoted. Please note this quote will be valid for as long as the accommodation and golf tee times are available. OPTIONAL EXTRA: LANGUAGE TRANSLATOR FOR YOUR TOUR (MORNING THROUGH EVENING): Please note that this package price EXCLUDES the language services of a daily translation guide. This exclusive service is based on availability, has to be confirmed with your booking and costs approximately $ 650 USD per day, regardless of group size. To calculate how much this will add to your individual package prices calculate as follows : ($ 650 x number of days required) then divide by your group size. Example: $650 X 10 days = $ 6 500 /8 pax = $ 813 per person extra Please note that you will receive standard UK Meet & Greet services (in English) at Edinburgh Airport by our Representative/Driver and will also have Private luxury transfers throughout your tour with an experienced driver. All sightseeing without a hired translator will be in English. 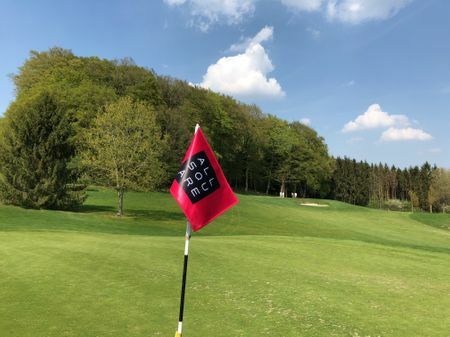 LIMITED SPACE: 12 REMAINING Total Package Cost - $ 5 200 USD (was $ 6 295) per person sharing based on 8 pax golfers PLEASE NOTE THAT FOR ALL PACKAGES RATES ARE QUOTED BASED ON AVAILABILITY AT TIME OF BOOKING. AS THE EVENT OR PACKAGE DATES GROW CLOSER SO THE PACKAGE RATES GET MORE EXPENSIVE DUE TO THE SUPPLY AND DEMAND OF AVAILABILITY. PACKAGE RATES ARE INTERNATIONAL AND MAY BE SUBJECT TO CURRENCY FLUCTUATIONS.